Yogis and Yoginis: You are invited to a special night of yoga, ritual, and Ecstatic Dance. Detox the negative and not needed. Celebrate the positive and purposeful. Sara-Shivani returns to Japan after two years away. She will share with you powerful yoga techniques she learnt living in Bali and Australia and based on the Tibetan understanding of human energetics (the chakra system). The sequence will help you detox, heal, and empower the body and mind so you can align with your dreams for 2013. * Opening Circle with mantra and conversation. * Meditation for physically, mentally and emotional detoxing. * Pranayama Sequence for manifesting your new year dreams. * Asana Sequence to unlock the chakras and deepen self connection and full presence. * Closing Circle with mantra and conversation. Prepare for 2013 holistically (mind-body-soul) and deepen your experience of how yoga can inspire your life. Sara-Shivani has prepared a special soundtrack with her DJ husband so you can forget about style and go deep into substance. Send email to info@venusyogalife.com with the name of workshop in the subject line, including your full name, phone number and email address. Dropping in on the night/day is also OK.
VENUS YOGA: The Water Sequence: The 9 Secrets of Female Health, Beauty, and Pleasure. Workshop for Women with Sara-Shivani. This December Sara-Shivani returns to Japan after two years away living in Bali and Australia. She gave birth to her son in 2011 and having experienced pregnancy and birth is even more passionate about sharing the Venus Yoga message. At Sun and Moon, she will share with us The Venus Yoga Water Sequence- a practice that she has been refining over the last 5 years. The Water Sequence is for the specific care of the female reproductive system and kidneys to promote physical and emotional wellbeing. It is rhythmic flow of asana, pranayama, massage, mantra, and meditation. There are 9 secret keys that directly awaken, heal, and empower your body, mind, and emotional heart. * warms the physical kidneys and nourishes the energetic pathways of the kidneys and bladder (responsible for emotional balance). * expands your ability to detox fear (negative emotion) and embrace love (positive emotion). The Water Sequence is set to music especially composed to affect your brain waves, and stimulate the parasympathetic nervous system, which allows you to relax deeply and naturally balance your hormones. There is a 10 minute and a 20 minute versions so you can practice it on a regular basis and integrate it with other yoga practices. Looking after your female reproductive system is vital for holistic health and happiness. Usually it is not until we face pain or sickness that we give our female body the daily attention it deserves. With the Venus Yoga Water Sequence you can easily and blissfully discover that holistic benefits of deep self care and awareness. This workshop is for women of all ages and yoga levels. It is especially recommended for yoga teachers and for women who have menstrual pain/irregularity, PMS, fertility concerns, or menopause symptoms. * Talk and discussion of the female body ( structural, organ, energetic [chakra and meridian], hormonal) , and heart (emotional dynamics). * Explanation of the 9 secret keys. * Learn adaptions for menstruation, pregnancy, and menopause. * Learn about the healing vibrations of the “Water Sequence” Music. * A 10 minute and 20 minute version of the Water Sequence using the “Water Sequence” Music. * A question and answer session. Receive a take home “Poster” with photos and guide of the Water Sequence. Receive a link to download the “Water Sequence” Music (composed by Sara-Shivani’s husband). Shivani, is known internationally for her empowering approach to women’s wellness through her Venus Yoga. She has a unique ability to help women access their feminine power to bring energetic balance, peace and bliss to their lives. The female specific practices she teaches are based on her training in India, China, Japan (where she lived for a decade), and Bali (where she lived for a year). Shivani is passionate about sharing the transformative and healing powers of yoga. Her practice allowed her to overcome severe asthma, allergies, back pain, menstrual irregularity and PMS, and the emotional pain of divorce. Since pregnancy and the birth of her son in 2011 Shivani has expanded her area of expertise to fertility and pre-natal yoga. She currently resides in Sydney Australia and returns to her “soul country” Japan to share Venus Yoga with the Yoginis in Tokyo. Join us to celebrate from 6:30-8:30 for a potluck and sharing with special events. Bring vegetarian food, your own plate and eating utensils, and a gift to share (not new!). No waribashi or paper plates please! Bring family, friends and celebrate with us! Fully booked. Waiting List Only! Come join us for this popular, comprehensive and life-changing teacher training. Course Translation by Tomoko Kawahara. Japanese and/or English training manual provided upon completion. Certificate awarded upon successful completion of course. Payment instructions will be sent upon receipt of your request. Early application is strongly suggested. Limit: 20 students. Course fills up quickly, so register soon to ensure a spot. If you are interested in attending this training, hit Contact and send in a request with RTTC DECEMBER in the subject. Include your full NAME, ADDRESS, PHONE NUMBER and PLEASE ANSWER THE FOLLOWING QUESTIONS BRIEFLY AND FROM THE HEART. REQUIREMENT: Students are required to have taken at least 10 restorative yoga classes prior to this training. What makes a good teacher? What makes a good teacher a *great* teacher? Touch is a powerful thing, and a good yoga adjustment is a key way for a teacher to aid students in going much deeper into a their practice than they could do on their own. A good adjustment will build trust for the teacher and for the practice as a whole. Safe, professional adjustments make a teacher stand out and keep students coming back to their classes. A good in-class adjustment and the personal attention it provides brings a greater level of awareness, safety, and opening of the physical and subtle body. Adjustments are a powerful way to deepen both the outer and inner practice of yoga. In this workshop, we will cover an entire yoga class worth of adjustments from a variety of in-depth angles, including how to chose the right adjustment for each individual’s specific needs. Come prepared to have fun, practice on each other, and take notes. WS in English with Japanese translation by Tomoko Kawahara. Ted Lafferty is a Staff Teacher for the Yoga Studies Institute. He is also a certified Jivamukti Yoga teacher. Ted teaches workshops, teacher trainings, retreats, and coaching sessions around the globe. He also teaches nutrition and runs a health program that uses an integral approach to bring transformation to the whole-self; mind, body and spirit. He is part of the development and operational team for the YSI 300 hour Teacher Training program. Hit Contact and put the name of the TTC or workshop in the subject line, including your full name, phone number and email address. If you don’t receive a confirmation from us, try again as emails sometimes get lost. If you use gmail, check your “junk box” please. We’ll send you payment information. Limit: 24 students. Course fills up quickly, so register soon to ensure a spot. Use the physical body to dive into the majestic depths of the subtle body. By connecting to the energy that runs deep within our physical body, we will access the subtler levels of our form: the winds, the primary channels, and the focal points, or chakras, which convey our life force, our prana. Learn the precision of asana through optimal alignment and the breath to most fully open your heart. Two hours of yoga and heart-filled conversation. Cost: 3,500 yen, or class cards can be used. Yoga of the Body. Yoga of the Heart. Asana and Kirtan to Awaken the Soul. Get onto the mat. Walk into a divine universe. Every pose is like a doorway into a mandala, each one, trying to cultivate some quality of heart to reveal a magical wisdom to you. What does Warrior III ask of you? Determination, commitment, drive. Child’s Pose offers you humility, harmony, and quietude. Pigeon makes you receptive and surrendered. Each pose wants to bestow upon you a gift, pave a new neuro-pathway leading to new habits and in turn, new divine visions of our world. Are you willing to receive? This workshop will offer a deep and powerful flowing vinyasa style exploration of the physical and subtle body. We will round off the evening with devotional music. Mira and Jarrett will be teaching the following regular classes while in Tokyo in July. Please come on your class ticket or drop-in. No reservation necessary! Sublime of the Subtle: Hip openers, forward folds, twists and inversions. - Deep underneath the layers of your physical body lies a ghost-like web, a system of channels, inside which our vital life energy resides. This body of energy is the mysterious place where the heart and body connect. By learning how to access and utilize the pranic body, the physical body becomes free and the heart opens wide. Mira Shani has been teaching yoga and philosophy for over twelve years. Amidst her thousands of hours of yoga training over the past 13 years, Mira received her first 200-hour Hatha yoga training and 200-hour Ashtanga yoga training with Veronica Zador in 2000. She did further teacher trainings and Therapeutic Yoga training in the Anusara tradition with John Friend and Darren Rhodes. Mira has done the extensive 8-series Tibetan Heart Yoga training with Lama Christie McNally and all Classics of Yoga studies with Geshe Michael Roach and Lama Christie McNally. Her playfulness and sincerity make the sometimes esoteric yoga teachings accessible for beginners and deeply engaging for dedicated students alike. She recently completed seven years of advanced Buddhist studies with her teacher, Geshe Michael Roach. Jarret Levine has spent his life in devotion to his teachers and was born into the teachings of Meher Baba, a guru in Pune, India, who kept silence from his twenties until he passed away in 1969. The emphasis of Baba’s teachings was to master the art of caring for and serving all beings to our deepest potential. He said, “LOVE is essentially self-communicative: those who do not have it catch it from those who have it….Being is Dying by Loving.” Jarrett’s path has been one of Guru and Bhakti Yoga. He has spent the last five years studying with Geshe Michael Roach and Kimberley Theresa. Through his sadhana and studies, he has become well versed in the subtle body and physical body consciousness. Mira and Jarret are the founders of Pranahata, a yoga lifestyle company–www.pranahata.com. To Register: Hit Contact and put the name of the TTC or workshop in the subject line, including your full name, phone number and email address. You will receive an automatic confirmation and later, individual confirmation and payment instructions. If you don’t hear from us within a week of registering please email us again. Sometimes mails do get lost! 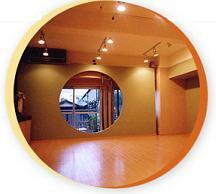 earthquake and tsunami relief through YAM (Yoga And Music in Tohoku). The money we raised for these charities has now reached 298,000 yen. Thank you so much for your love + support! All are welcome. NO RSVP necessary. Please just drop in! When we think of prosperity and abundance, we mostly think of money. But if we examine this idea, at it’s root is actually energy/prana/ki. And when we look even closer, we see that this energy is all-pervading and naturally abundant. So if we indeed want to live a life of prosperity and abundance, the first step is to understand this simple truth and to develop habits that support this reality within and without. Come practice with a humble master. Space is limited, first-come first served. Use your class cards or 3,000 yen drop-in. Each day we’ll journey inward together, from the gross to the subtle, and home to a place of connection and deep rest inside ourselves. Smooth, fluid vinyasa, emphasizing mindfulness through joyful embodiment, followed by pranayama and meditation to steady the mind and soften the heart. Take all four classes for 12,000 yen. Durga, Lakshmi, Saraswati… so many names for the One! The Hindu pantheon of Gods and Goddesses is confusing to say the least. In this workshop we’ll get underneath the outer symbology to see exactly how the wisdom of these Devis can enlighten our daily lives, at the most practical levels. With the power to either veil or reveal the light of the Spirit, we’ll see how they relate to the 3 primary behavioural modes of nature – tamas (inertia), rajas (activity), and sattva (lucidity). Be prepared for a combination of very light asana & pranayama, discussion, mantra, and kirtan. Cost: 4,000 yen, or class cards can be used. A fantastic way to liberate your creative energy by shaking up and clearing out any stagnancy in body or mind; to re-inspire your Yoga practice with new forms of creative movement; and a beautiful way to journey home, individually and as a group, to that place within each of us which is quiet, peaceful, joyful, innocent, and inspired. Using the map of the 5 Rhythms, we’ll empty our heads and let our feet lead the way! Be prepared to sweat, breathe, move, and pray. Cost: 2,000 yen suggested donationfor charity. Money will be donated to Yoga Aid for Japan Platform charity. Participants must register in advance, as space is limited. Lucy Roberts is a senior teacher on Yoga Arts internationally-accredited Teacher Trainings, as well as leading classes, workshops, and retreats. Her teaching and practice attends to body, mind and heart, combining the physical practices of Hatha Yoga, with the wisdom and insight of Jnana Yoga, philosophy, and meditation, in the spirit of Bhakti - the Yoga of Love and devotional self-surrender. Lucy’s style is fluid, feminine, intuitive, and creative - inspired by her love of dance and free-style movement; craniosacral bodywork; soulful music; silence; and authentic self-inquiry. She is a passionate communicator who delights in inspiring a deeper dive into Yoga, life and love. Born in Australia, based in South India, Lucy teaches in Bali, Japan, India, Australia and the Middle East. She has been practicing for 16 years and teaching for 12. Another session of this popular, comprehensive and life-changing teacher training. Course Translation by Sawano Takano. Japanese and/or English training manual provided upon completion. Certificate awarded upon successful completion of course. Payment instructions will be sent upon receipt of your request. Early application is strongly suggested. If you are interested in attending this training, hit Contact and send in a request with RTTC MARCH in the subject. Include your full NAME, ADDRESS, PHONE NUMBER and PLEASE ANSWER THE FOLLOWING QUESTIONS BRIEFLY AND FROM THE HEART. (NOTICE) This date has been changed. Cost: 20,000yen. SPECIAL WINTER SOLSTICE DISCOUNT–10,000 yen for all! Money and abundance, like everything else in the universe, are forms of energy. They have certain spiritual laws of flow. What is your attitude towards money and abundance? Where did it come from? Do you give yourself permission to have abndance? *This workshop is not just about financial flow, but opening up ALL CHANNELS OF FLOW in the universe and manifesting your highest potential to help you serve others. The workshop will be in English with Japanese interpretation by Minako Suzuki. You may do the journaling and partnerwork in English or Japanese. To register, hit Contact. Email us with the name of the workshop in the subject line, including your full name, phone number and email address.